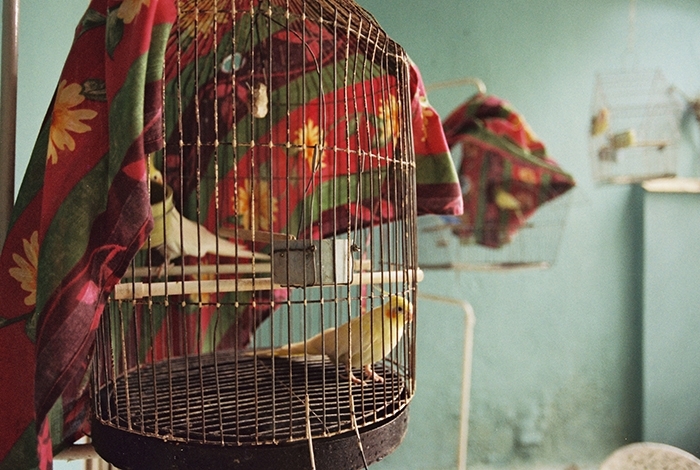 Covered Bird Cage at Olga's House, Santa Clara CUBA is one of my favorite photos and art pieces. While Cuba was still closed I visited on a religious visa. In Santa Clara I stayed at a private home called a casa particular. 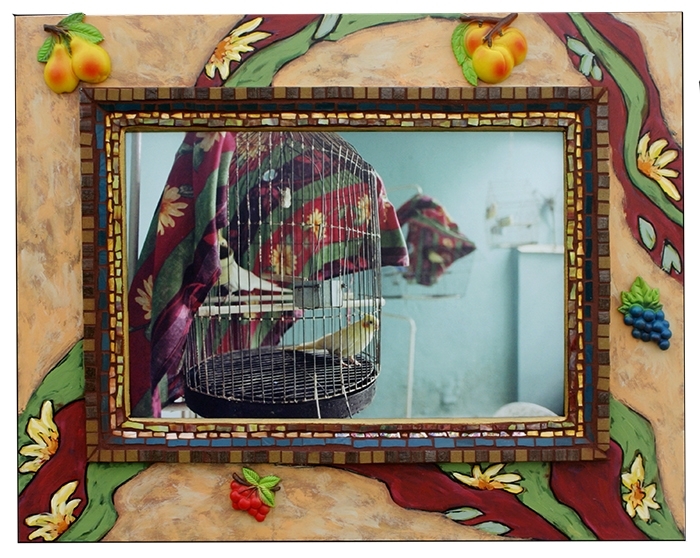 Owned by Olga, it was a lovely old house with high ceilings and a large bird atrium. The towels on my bed were shaped into kissing swans.